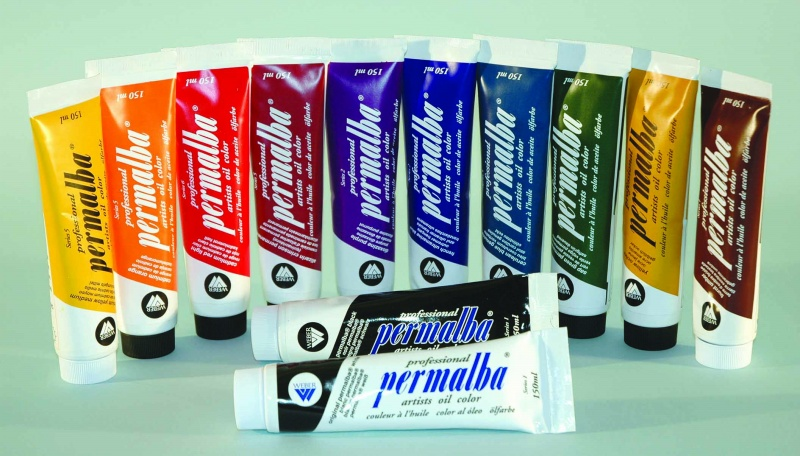 12 ASSORTED COLOR PROFESSIONAL PERMALBA OILS 150ML. 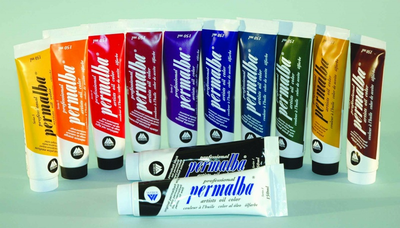 12 Giant 150ml Tube Value Set features a super value in Professional Permalba® Oil Colors, organized into 1 each of top selling colors! Includes: Original White, Black, Cadmium Yellow Med., Cadmium Orange, Cerulean Blue Genuine, French Ultramarine Blue, Cadmium Red Light, Alizarin Crimson Permanent, Burnt Umber, Yellow Ochre, Sap Green Permanent, and Dioxazine Purple. Made in the USA.